Basswoods are a kind of tree that is pretty commonly planted in cities. They bloom just about now (at least in climate zone 5/6) and they smell wonderful. 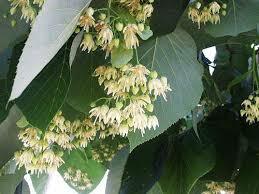 If you ever walked down a city street in late June and smelled a wonderful smell that you couldn't quite locate, it was probably a basswood. Basswoods are also known as lindens and tilia--Tilia is the Latin name of the genus, but it can be used as a common name. Some folks apparently call it whitewood, but I've never hear that. In the years since I last posted, I've become a father, switched careers, and released an album. Aside from that, not much has changed. איך קאָמענטיר נאָר אױף לענגװידזש לאָג, לענגװידזש העט, און אזױ װײַטער, און בלאָג אױכעט, ציטירט מען מיך טײלמאָל. אָבער, אױב איר זענט א יידישיסט אין ניו יאָרק, אפֿשר זענען מיר באקאנט דורך א סבֿיבֿה?